The Royal Palace of the Kingdom of Kandy was the last Royal Residence of His Majesty King Sri Vikrama Rajasinha (1798-1815). The Palace is situated to the North of the Dalada Maligawa Temple in Kandy. 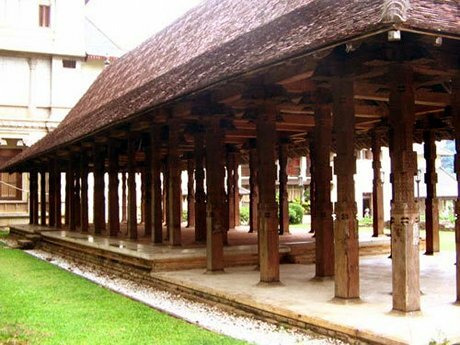 The first Royal Palace in Senkadagala was built by King Vickramabahu III of Gampola (1357-1374) on the advice of a Brahmin who selected the site as a lucky ground for a Capital city. The original palace has been burnt and destroyed several times and it was rebuilt by subsequent kings. In ancient times the Royal Palace was called “Maha Wasala” or “Maligawa”. The section of the Royal Palace facing the Natha Devale is said to be the oldest part. 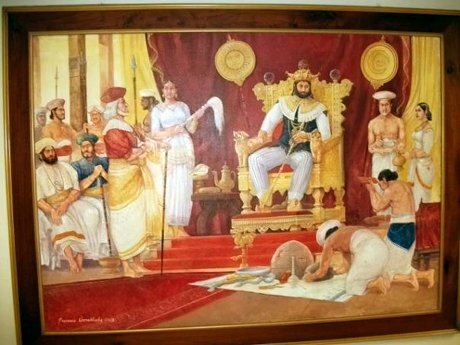 During King Vimala Dharma Suriya I (1592-1603) was also his royal residence and he made various improvements to the Royal Palace. During the reign of King Senarat (1603-1634), the Portuguese attacked the Kingdom of Kandy and destroyed the Royal Palace. King Rajasinghe II who accented to the throne in 1637 rebuilt it and all the subsequent kings used this as their Royal Residence. After the British invasion in 1815 the Royal Palace of the Kingdom of Kandy was used by the British Government Agent Sir John D'Oyly and his successors have continued to use it as their official residence. Only the front entrance of the royal palace with a few buildings remaining and today it is preserved as an archaeological museum. Photos by Dr. Don W. Weerakoon. His Majesty King Sri Vikrama Rajasinha of Kandy was captured and taken as a royal prisoner by the British in 1815 and the King was brought to Colombo and temporarily imprisoned in this specific detention chamber and it is located close to Ceylinco building in Colombo Fort, before he was exiled to Vellore Fort in India.